Casetify is a company which specializes in iPad, iPhone and MacBook cases. 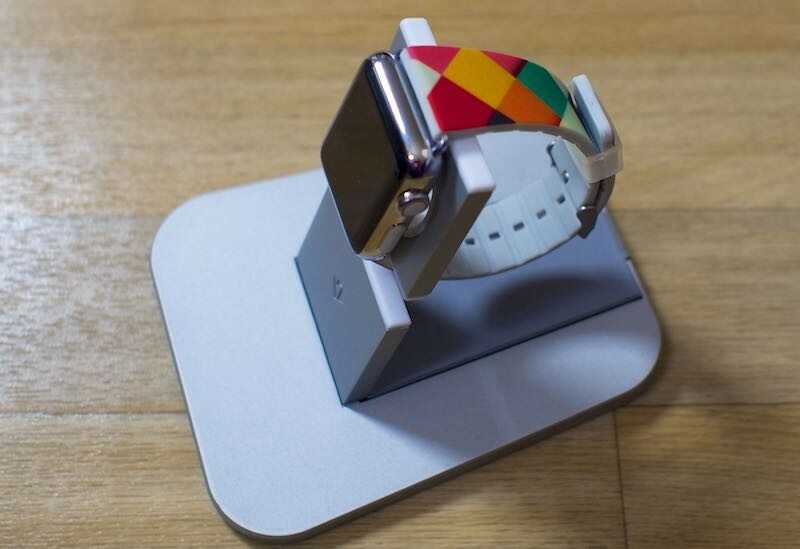 With the recent launch of Apple Watch, the company has added another device to their brand. 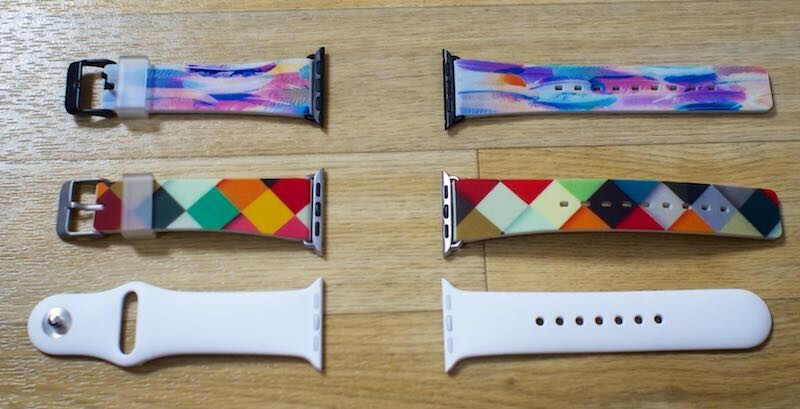 The Casetify Apple Watch band can be bought with any print design. It’s available for 38 and 42 mm Apple Watch sizes. You can customize Casetify’s bands with your photos or any artwork that you choose. You can even pick a pre-designed band from Casetify’s library of artists. 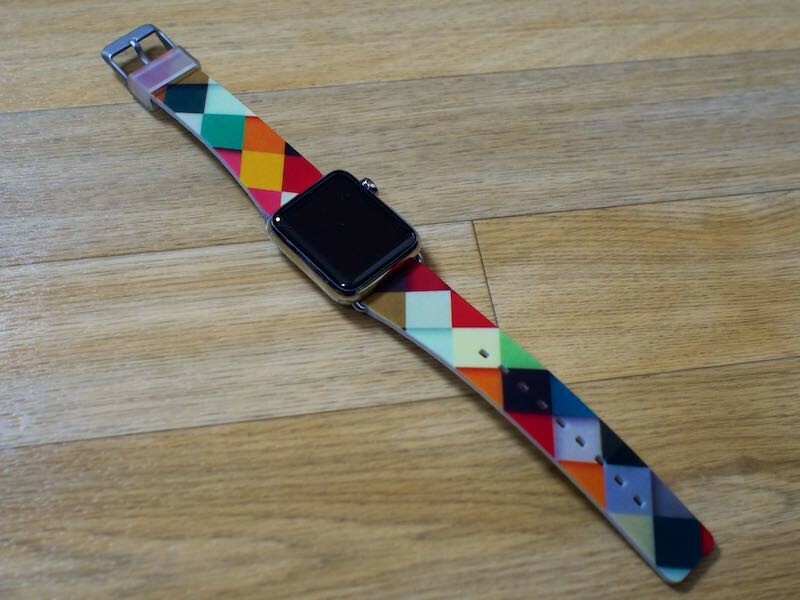 Check our Casetify Apple Watch Band Review for more info! 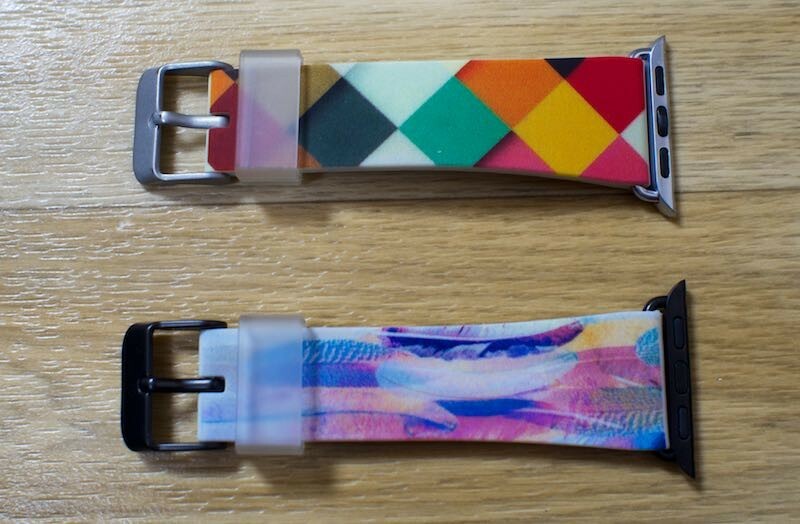 The Casetify Apple Watch band is made out of a polycarbonate material. The materials used are close to the Watch’s build. They are indeed comfortable, but unfortunately the band is not that soft, nor flexible. They aren’t as thin as the fluoroelastomer from which the Apple Watch Sport bands are build from. Casetify’s bands come in two sizes. One for each Apple Watch. The 38 millimeter band is aimed at those who have a wrist size between 140 and 200 millimeters. The 42 millimeter band is aimed at those who have a wrist size between 150 and 210 millimeters. Underneath the band you’ll notice the Casetify logo printed on each side. Casetify’s bands are about a millimeter thicker than what you would find on the Apple Watch Sport. It stands at an eighth of an inch thick. This isn’t a huge disparity between the two, but it is noticeable if you have a small wrist. If you’re wrist is under 5.5 inches in circumference, like mine, then these bands will look, and feel, a little bit bulky and goofy. Most likely, this isn’t an issue with those who have bigger wrists. 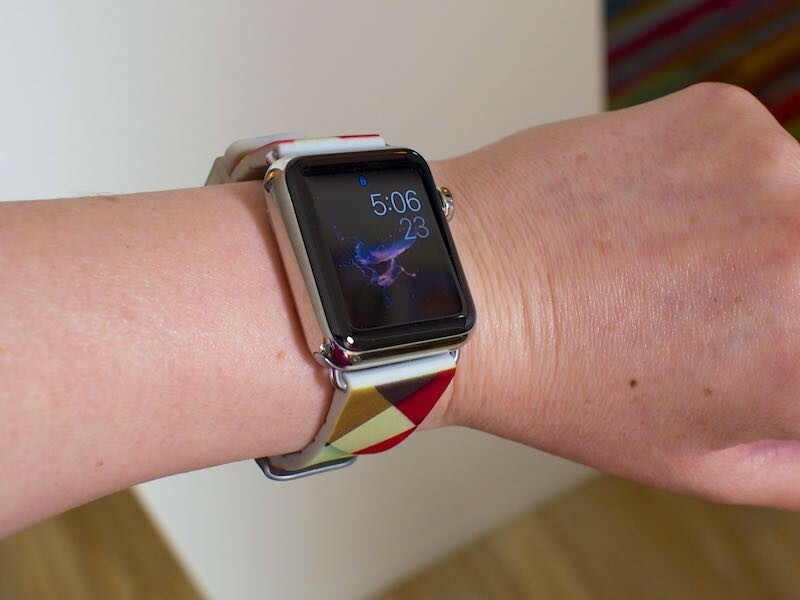 You’ll notice from the get-go that it’s thicker and less flexible than the Apple Watch sport bands. Nevertheless, they sit quite comfortable on your wrist throughout the day. Even when you go on your morning exercise routine and when the band gets wet. The Casetify Apple Watch band has a ton of holes so you can adjust how it fits. If you want to put the device one-handed, exactly like you would do with an ordinary Apple Watch band, then you’re out of luck. It’s a buckle-watch, and it will take a little bit of skill on your part if you want to try to put it on with one arm. 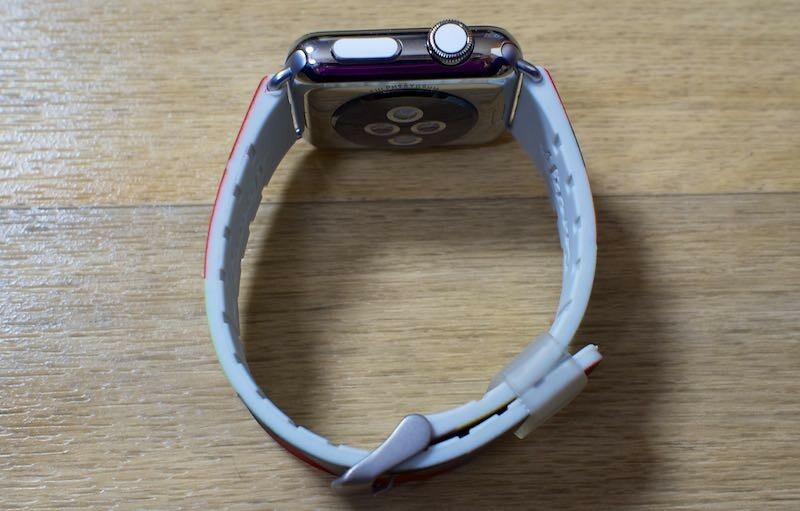 The band is attached to your Apple Watch with stainless steel adapters. You can buy them in either a matte black or a matte silver finish. Each Apple Watch comes with a stainless steel buckle. The downside is that these adapters don’t match the high-quality builds of the Apple Watch. From a distance, it isn’t noticeable. If someone gets close to you and looks at your wrist, he might see the difference. Casetify’s bands don’t have that shiny finish. Also, the aluminum used in the Watch Sports edition doesn’t match the matte silver. This mismatch can be a deal breaker to some. This bothered me the most, but it seemed that nobody else noticed but me. Bands are attachable in the same way you would attach a Apple Watch band. You just slide it into the groove found on the side of the watch until you hear a click noise. This means that it has snapped in place. Casetify’s bands lock in the same way as Apple’s, but they don’t slide in and out as easily. 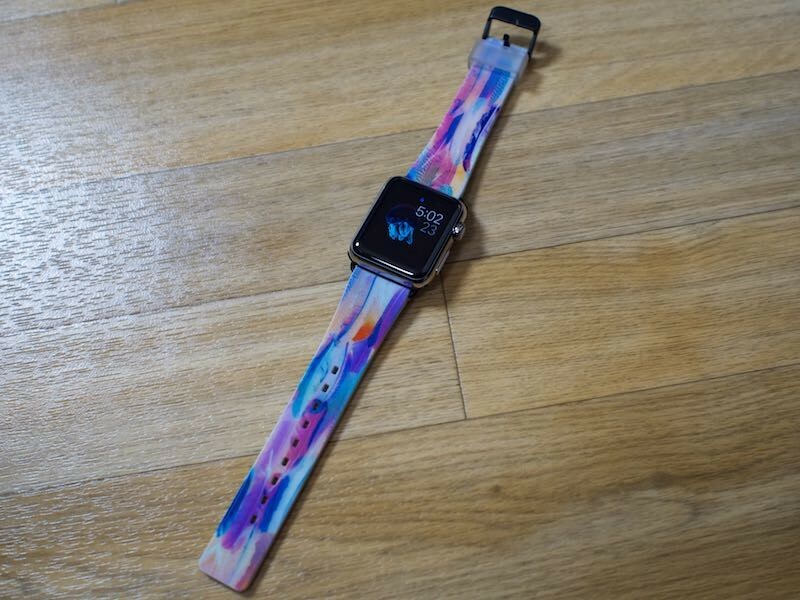 The thing I loved the most is that you can customize your bands as you wish. You can choose from a huge library of pre-designed bands, but where’s the fun in that? Casetify lets users send their own image. Upload it directly to their platform or through Facebook and Instagram. Users can put up to five photos on a band. You’ll be able to resize and move photos as you see fit within their app. Possibilities are virtually endless. You can riddle a band with puppies, kitties, cars, guitars – anything you can think of. Even an abstract design. Casetify recommends a high resolution photo for the best print quality. More so if you’re using just one image. If you’re not that creative or if you don’t want to go through all the hassle of designing your very own band, pick one from the artist’s gallery. There are a ton of eerie and feel-good bands from great designers. The print looks great, but at a closer look you can notice design flaws. It’s fuzzy because of the printing process. It’s something you would notice only if you would especially look for it. However, I wouldn’t choose a design with complex and intricate details. The printing process can’t handle it. Your print will only cover the front of the band. Underneath, and on the sides, the Casetify Apple Watch bands sport a light gray’ish color. It can take a lot of abuse like twisting, scrubbing, bending and even trying to rub the design off. The printing process is more than reasonable. They are more expensive than you’re standard Apple Watch Sport bands, they are a little bit more thicker and their adapters don’t quite match Apple’s materials. But they are highly customizable and quite comfortable. They are $70 a pop and the trade-off is that they are less flexible and more thicker. Prints aren’t that crips and they can look a little bit fuzzy in a close-up. They are petty great if you know how to choose a design and if you can get passed all of these minor flaws.